For a successful skiing holiday, rent the accommodation to Les Arcs which is situated in the mountains Northern Alps, Savoie. This skiing resort is well known for its beautiful surroundings and breathtaking landscape. 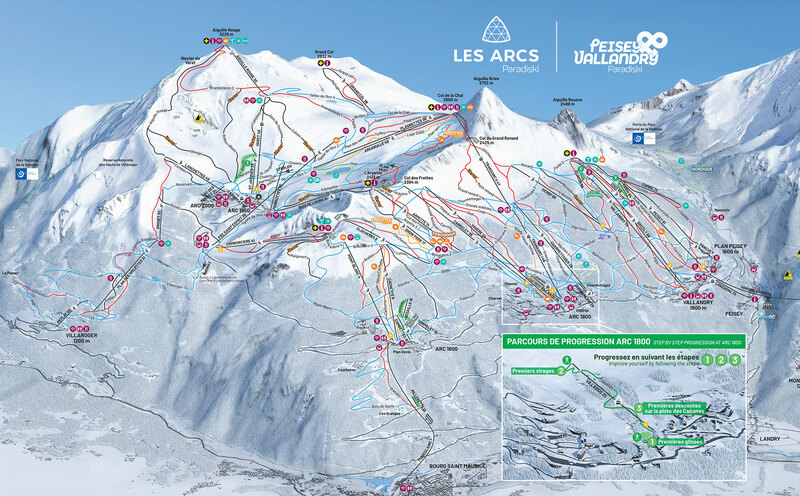 Booking to Les Arcs is easy and convenient and can be done either by phone or via our website. 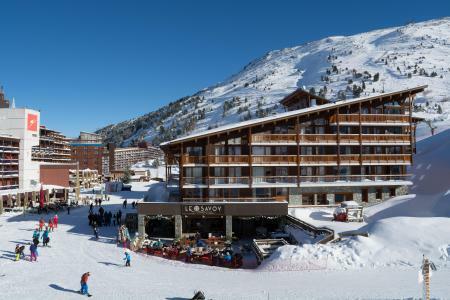 Each accommodation shown online is available for rent, just select the date and start date of your holiday at to Les Arcs to find out the cost. Don't hesitate, now is the time to ski ! The residence Aiguille Grive II is located at Les Arcs 1800, in the village of Charmettoger, 500m away from the shops. This residence with lift is calm and situated closed to the Charmettoger chairlift (50m). Situated at the upper part of Arcs 1800 resort, in Chantel village, the residence Chalet de la Bergerie is located in a quiet district, close to the center, the ski school and shops (free shuttle). It is ideally situated at the foot of the slopes. The residence Lauzières is located in Les Arcs 1800, in the distric of Charvet. This residence of 7 levels with lift, is situated at the foot of the ski slopes, 50 m from the first shops and 100 m from the resort center. The residence Archeboc is situated in Arc 1800, in the village of Charmettoger, about 50m from the pistes and 200m from the shops. This residence (with lift) offers a great view over the pistes, the valley, the mountain and the fir tree forests. The ski lifts situated a few steps from the residence connect the various levels of the resort of Les Arcs, Alps, France to enjoy skiing in the Paradiski area. Free shuttles are also available to use within the resort. Boasting magnificent views of the Mont Blanc, in the village of Charmettoger, the Pierre & Vacances Belmont residence at Arc 1800 has been refurbished to our "5-Suns" standard. The residence is ideally located: just 300 m from the shopping centre and ski lifts. 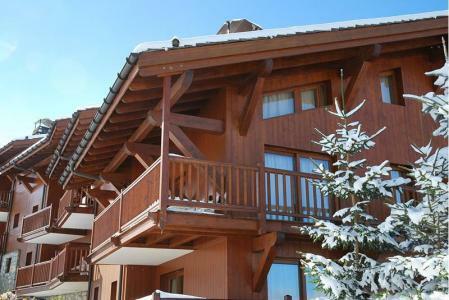 The residence Les Belles Challes, with lifts, is located 100 m from ski lifts to go to the Paradiski ski area. 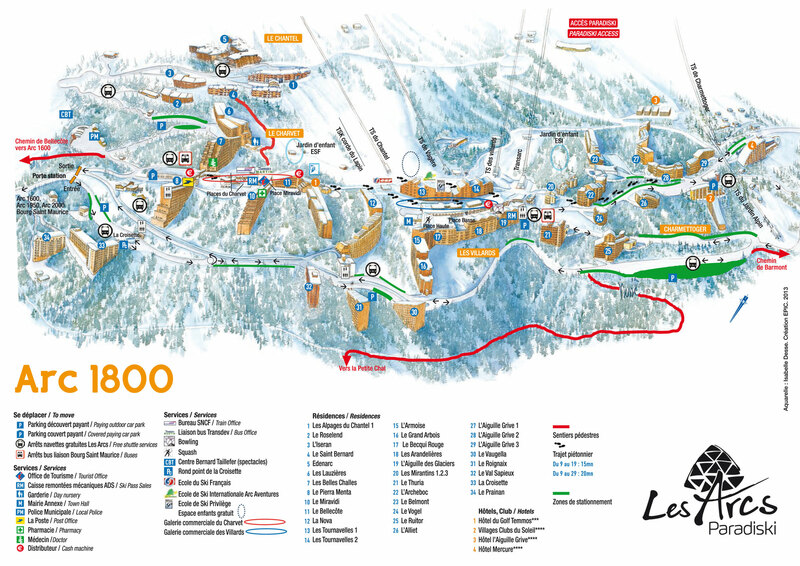 You will found the shops 100 m from the accomodation and 200 m from the ski school. 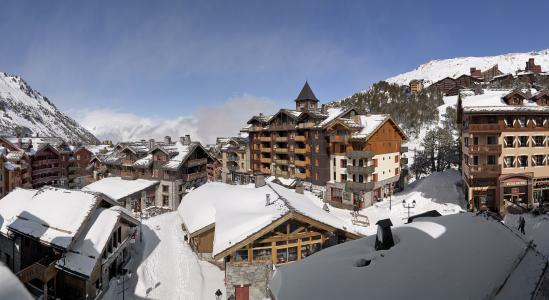 The Residence le Ruitor is located in the Charmettoger area of Les Arcs 1800 (Les Arcs). There is a blue slope nearby that can be directly accessed from the residence. 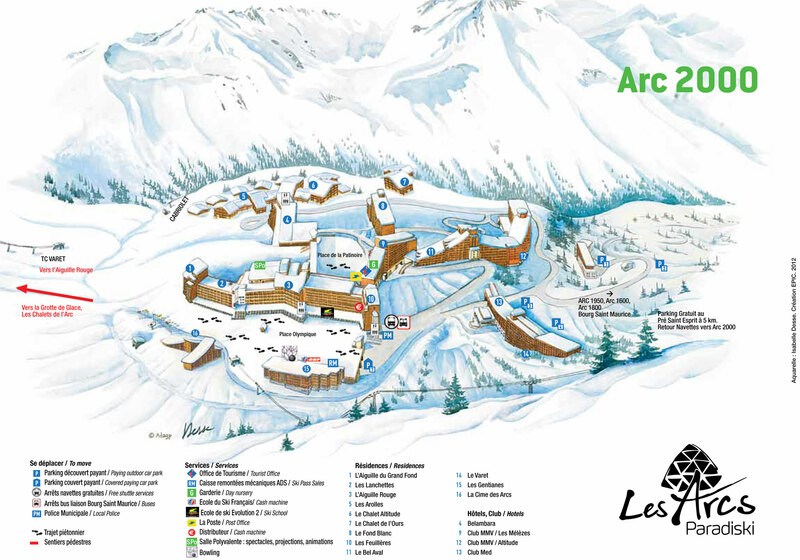 The Jardin Alpin chair lift is 100 m from the residence, the ski school is 500 m away and the shops are just 200 m. Les Arcs connects to La Plagne via the Paradiski link. The residence Armoise is situated in Les Arcs 1800, Les Villards district. It is located 100 m from the slopes, the ski lifts and the ski school. 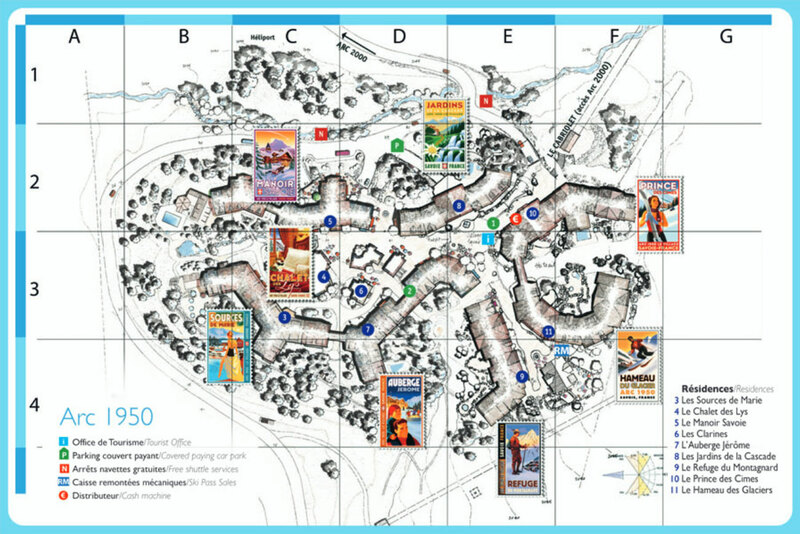 Shops and the resort center are 50 m from the building.